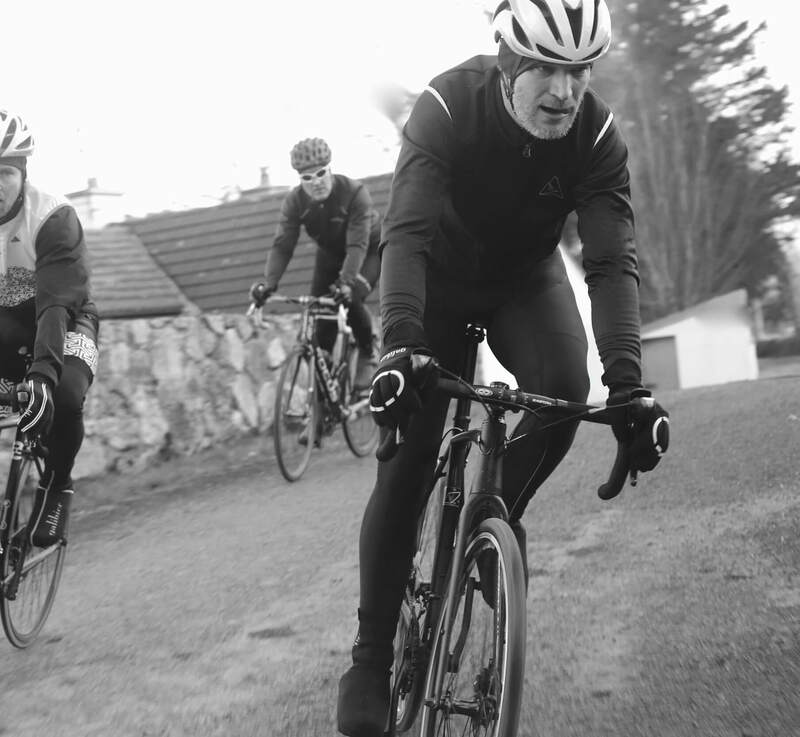 A technical, thermal gilet to keep your core warm in ALL conditions. Our goal for this garment was to produce the finest cycling gilet on the market.It has took us over a year of planning and testing. We spent the past winter using three of the evolutions, improving each time until we were delighted. It took lots of searching to source one thin enough, to perform as a removable top garment.Our final fabric is only 1.1mm thick, but will survive seasons of headwinds, line outs and the pointed backs of cafe chairs. We are sincerely marketing this as: never be cold again. The German fabric has fantastic thermal retention and weather battling properties. 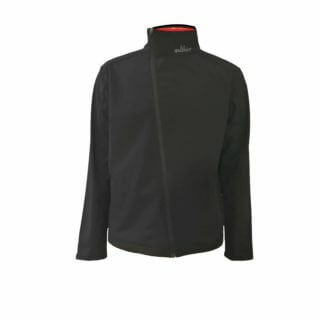 This will keep you warm as a top layer in deep winter, or over a racing jersey during long, autumn evening descents. Ultimate : your 100% windproof training partner. All three layers of the 1.1mm fabric perform essential, individual roles, keeping your body, warm, dry and breathing. 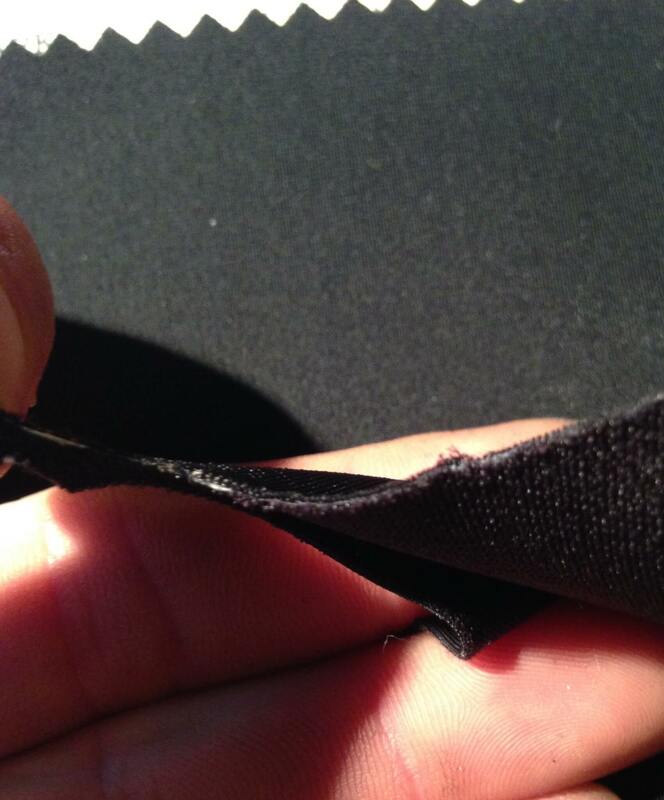 ALL seams are double stitched and hand finished with pride. The Ultimate will keep performing for you season after season.The soft-shell is highly water resistant, but due to the superior body stretch of the material, the seams cannot be internally taped, so in downpour, the rain will eventually get through. With the Ultimate, you will not get cold, being 100% windproof and with a breathable rating of over 5000. 3 rear pockets are highlighted with 3M reflective finish and an internal chest pocket with keep your cash, key or bank cards safe. The new, stormproof zip is an anti-stick design to let you vent if the heart rate or heat rises. Just arrived and looks great. Nice stretchy material, snug fit, large pockets. As I am a woman gapes a bit around armhole. For other women, I am slim 16 and this fits snug across the chest and fitted at the back but would be tight on the hips for anyone above size 14 slack size. Look forward to trying out on the bike. As usual, top quality materials, comfortable yet slim fit and extremely functional. Tried mine out. Superb. Perfectly warm at 3° with rain and hail. Go Galibier cc. Only worm for a couple of rides but it is the usual top quality. Great fit, accurate sizing chart, really excellent in the recent bad weather. Really nice quality gilet, wore it for the first time last night on an evening spin up the mountains, kept my core nice and warm as the temperature dropped. The L was a perfect fit for me, 6ft2 with a 40″ chest and a 32″ waist. 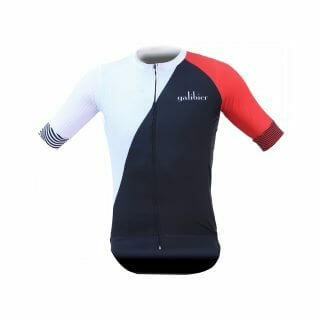 I was thinking of buying a Rapha gilet but the fact that this was so much cheaper with better features made it an easy decision to go for Galibier. Super quick shipping to Dublin too! 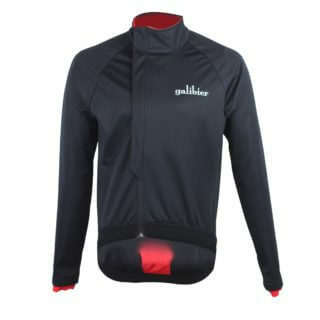 Galibier have created maybe the perfect garment for changeable British weather. I have worn this (with suitable layering) in single figure cold, cool wet summer showers and everything in between – it always just works. OK, I do get a bit sweaty grinding up hill sometimes but the payoff is I have never been cold going downhill or in the rain. The chest size is spot on – just ensure your waist is an inch or two smaller before ordering! The only negative for me is the length. At 6′ 2″ I would have preferred it to be a little longer. A dream piece of kit. Enjoyed a week of very mixed autumnal weather in the NW Highlands of Scotland and found this to be a daily companion. I expect extensive use through the upcoming softer southern autumn I usually experience. Can’t recommend it highly enough. I’ve now had a few opportunities to wear this gilet on rides in wet if not foul conditions. I’m 178cm tall with 98cm chest and am wearing a size L. The fit is neat but not too tight. It is longish at the back covering your jersey well. There are signs of good attention to detail throughout. The rear pockets are a good size and have netting along the bottom, presumably so they don’t collect water. The zip also has a flap of material behind it so wet doesn’t penetrate. There are reflective strips along the top of the pockets. Out on the bike you wouldn’t really be aware you’re wearing it were it not for the fact that keeps your torso nice and warm and dry. No flapping either. It’s probably too bulky to tuck away in a jersey pocket so if you wear it it’ll be for the entire ride. In summary – it performs as advertised and I’m well pleased. It should see a lot of use over the next few months. I can concur wholeheartedly with the other 5 star reviews. Chuffing excellent Gillet this, very windproof, nice high comfortable neckline, showerproof, comfortable, good tailored fit. It would be 5 star if it had a little more subtle reflective on the front and I know its meant to be a Gillet but I’d love half sleeves (think Gabba) on this thing as I hate that cold patch between the arm warmers and the Gillet. Can not recommend this Gillet enough, top product. Bonus points for the pockets and that internal pocket is large enough for a large smartphone. An excelent Gilet, i have no more words for it, superb in all aspects. Since buying, all 3 rides ive worn the gillet have been in temperatures of 3 degrees or less. 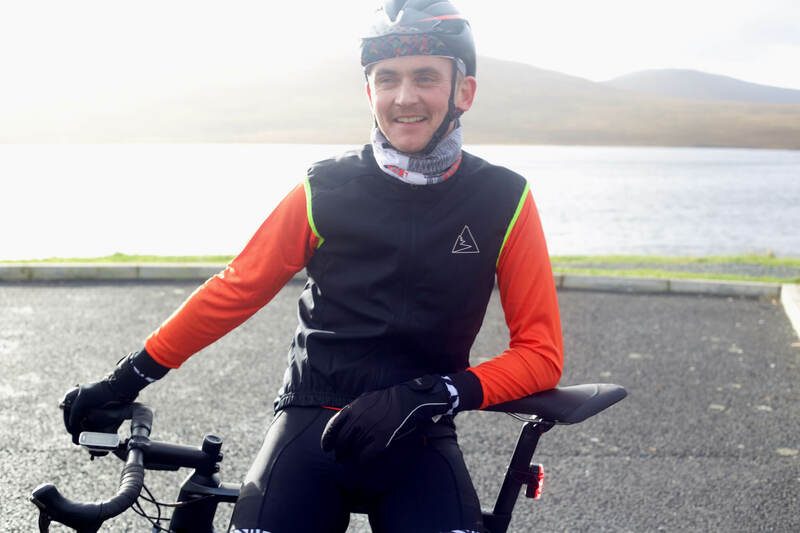 Wore the Ultimate gillet with a merino base layer and a Gino Light wind jersey. Never felt cold at any time during the rides whether climbing or decending. Simply put, buy it, you do need it! I am long and tall but ‘slim’ so sizing is always tricky, but after a quick correspondence with Galibier and assurance of a quick exchange if the ordered size is wrong, i opted for the medium. On quick delivery (as always), the gilet was race tight but with enough stretch to fit over a tight winter jersey and baselayer. it was longer than the jersey on the rear so everything was perfect fit wise. The finish as immaculate as ever. I’ve done a good 50k and also a 100k sportive in filthy weather and boy does the gilet deliver!!! enough room for sandwiches and support food and kit, inside pocket perfect for map etc and the waterproofing ideal but the warmth is stunning! 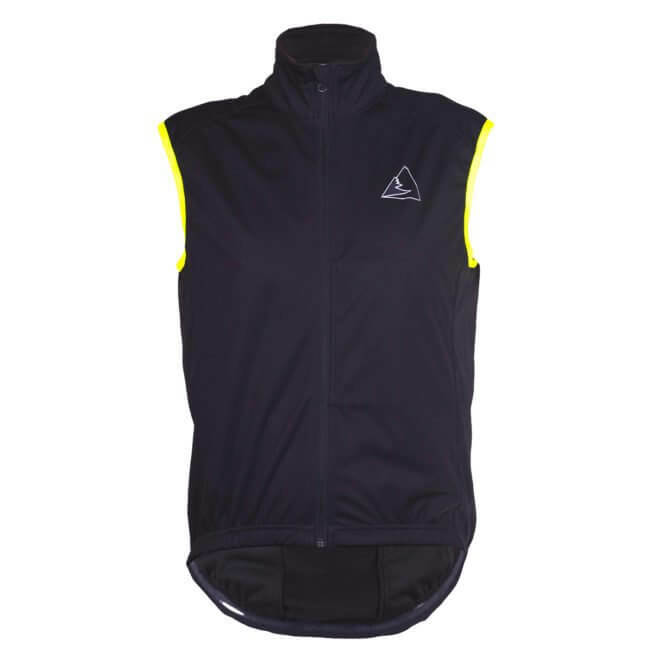 with a few strategic unzipping of the jersey for when things warm up, this gilet is easy to do up, undo, take off etc etc at pace to manage the conditions. As the ULTIMATE FOUL WEATHER GILET aspires to, it is the finest gilet on the market that I am aware of. Again, Galibier are my go to suppliers of perfect kit; thank you! Nice piece of kit, I tend to ride early in the morning (around the Peak District) when temperatures are a little lower and have found that wearing this gilet with a long sleeved jersey gives me enough warmth for the first hour or so without overheating on the rest of the ride. Nice simple looking design and the medium fits my 5’10, 11st ish frame perfectly. Definitely foul weather product. I used it between 10 and 20 Celsius and did the job perfect. I little bit warm after 15 degrees but if you cannot guess the weather this is your product. Also it has secret inside pocket for valuable and deep back pockets. Galibier did the best vest. A fabulous and versatile piece of gear. Light weight – I barely notice I’m wearing it – (really) warm and wind&waterproof. Worn on different occasions in different types of weathe: wind, chilly, less chilly but windy, rainy and any combination with these elements, and it never let me down and looks good too. Just buy it; essential piece of gear. Im 6.3 ft/1.91m, 39 ich/99cm chest. Got an XL, fits great. Lovely piece of kit,feels quality and looks the business!! Looking forward to wearing it on my morning rides. Very fast postage. Will soon be kitted out in all galiber gear. Also thanks for the wee surprise of the free socks.. Thank you. I have this gilet about a month now. Ridden some very cold and wet rides in Kerry weather and it’s great. Works very well in very windy conditions. I would highly recommend this for cold, wet and windy rides. It keeps your core dry and warm. Have this gillet a few months now,what a brilliant piece of kit,worn on some cold damp spins over LS jersey no body heat loss whatsoever,im 173 78kg 41″ chest opted for L fits great,well done Myles and all at Galibier .. Fantastic piece of kit. This is now my go-to cycling add-on between 5 to 10 deg C.
Surprised at how thin it was for a 100% waterproof / windproof item. Ridiculously good. Got it last winter and was amazed by it – got it out again last week when the temperature dropped to about 4’c in the morning. I was frequently dubious about the amount of 5* ratings these products got until I found I’d given every thing I’d purchased the same top marks. Contact by Messenger for advice on sizing and usually answered within a few hours. Top marks. One thing that does confuse me is those who rate products on how quick your postal service delivers your order to your doorstep – I prefer a PRODUCT review.